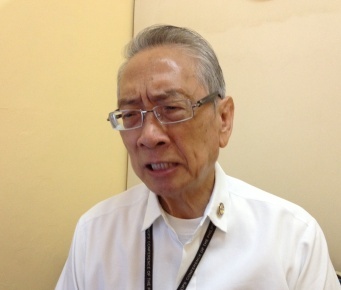 Arch Emeritus Oscar Cruz Appeals to Duterte Critics, Gives 9 to PRRD's 2nd SONA - Exam News, Reviewer, Military Career, & Everything [MN] . .
CEBU CITY – Lingayen Dagupan Archbishop Emeritus Oscar Cruz defended President Rodrigo Duterte against his critics. In an interview with BomboRadyo, Archbishop Cruz said that the Filipinos are very used to an administration that had not done much to the country’s growth. This has resulted to a number of criticismsof the current administration, which is trying to provide solutions to problems that the previous administration have failed to solve. According to Cruz, he understands the decisions of President Duterte regarding the problems encountered by the country especially about the current crisis in Marawi City. He also said that the reason why the country is in its situation now is because of the negligence of the previous administrations. Cruz also added that instead of throwing criticisms, it will be more helpful if everyone will widen their thoughts and understandingbecause the Duterte government is trying to fulfill its promise to its people and to the country. Cruz admired the 2ndSONA of President Duterte according to him; he was impressed by the sincerity of the President’s words, some of his statements were not even in his prepared script. He clarified that although the Duterte Administration is not perfect, he gave him a rating of 9 because according to Archbishop Cruz, President Duterte was just being honest and being himself.